Come, there is joyful exploration ahead! 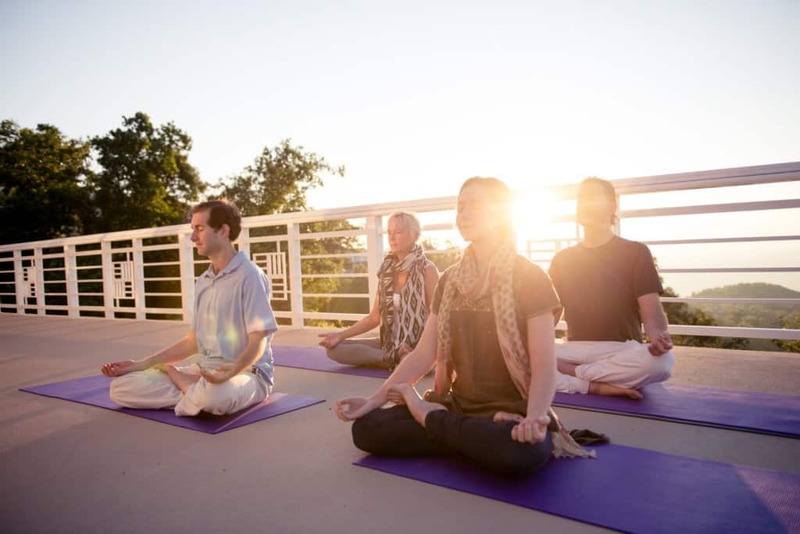 We offer yoga, meditation, and philosophy workshops, as well as holistic and Ayurvedic spa treatments, nature trails, and a wide variety of spaces for you to rest, learn, and explore on your own. 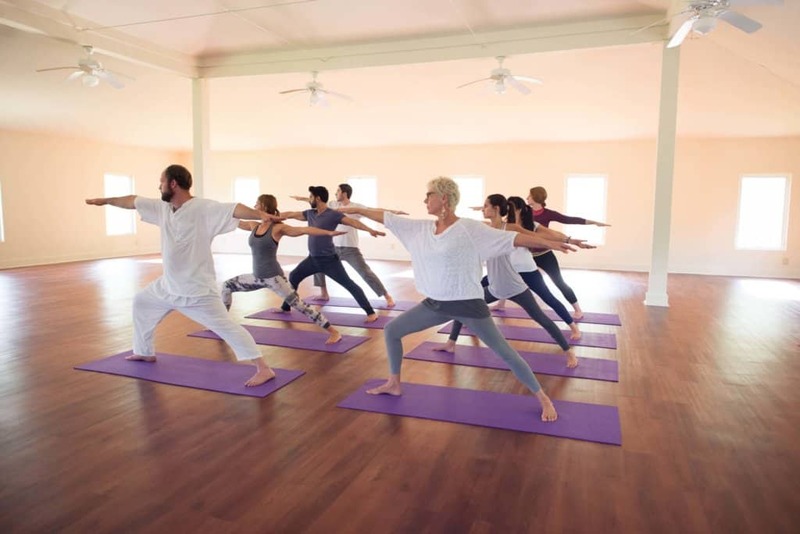 Sri Sri Yoga is a holistic and energizing practice, integrating mind, body, and spirit. The techniques of Hatha yoga are taught in a light and joyful, but thorough manner – useful and suitable for everyone from beginner to advanced practitioners. Rejuvenate from within! Meditation offers deep rest for mind and body. We also teach complementary breathing exercises to still the mind. Here, you can participate in guided meditation, accompanied by time questions and discussion. In the pottery studio, you are free to play and learn. Join us anytime to explore your creativity on your own schedule. 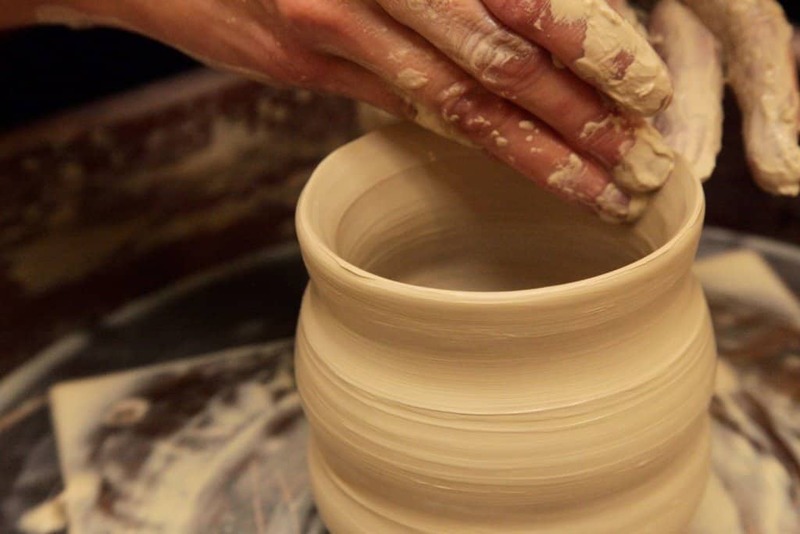 In your class you can gain hands-on experience in throwing on the wheel, hand-building and decorating handmade pots. 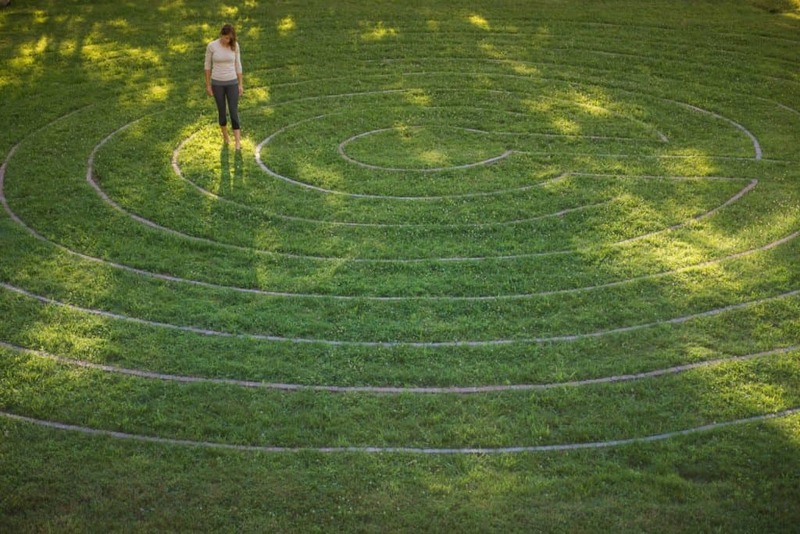 People around the world have used labyrinths for centuries as a walking metaphor for the pilgrim’s journey, as a way to open the mind to the present moment and stay centered. Our labyrinth allows for this inner journey in a unique, mountain setting. 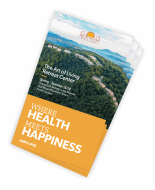 The Center is situated on 380 acres of forested mountain. 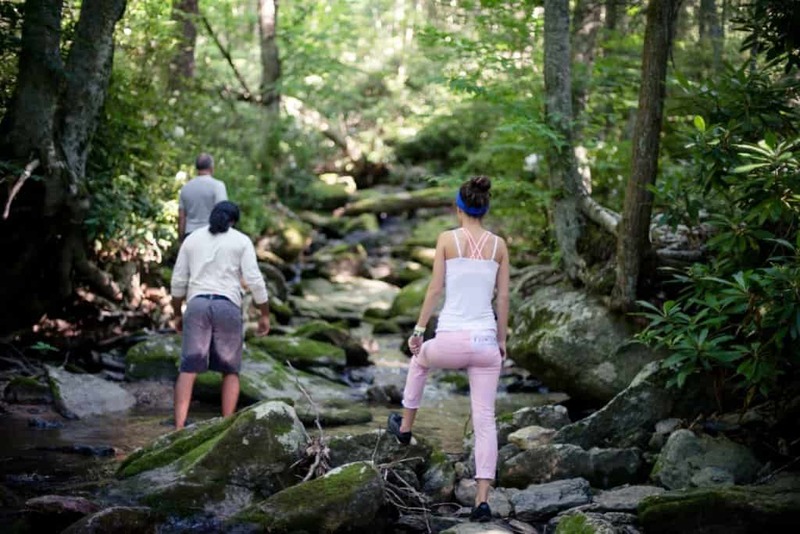 Two trails meander through the woods here, and several nearby trails offer experienced hikers miles of in-depth exploration. Majestic sights and clean mountain air await! 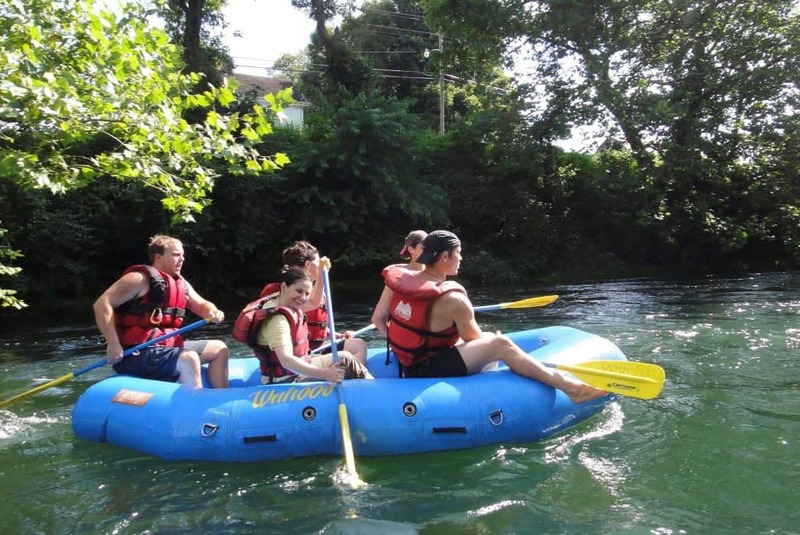 Boone is famous as a vacation destination, with miles of scenic trails, serene lakes, historic sites, climbable cliffs, ski slopes, horseback riding, whitewater rapids, and kayaking spots, local Appalachian music, and delightful dining just steps away. 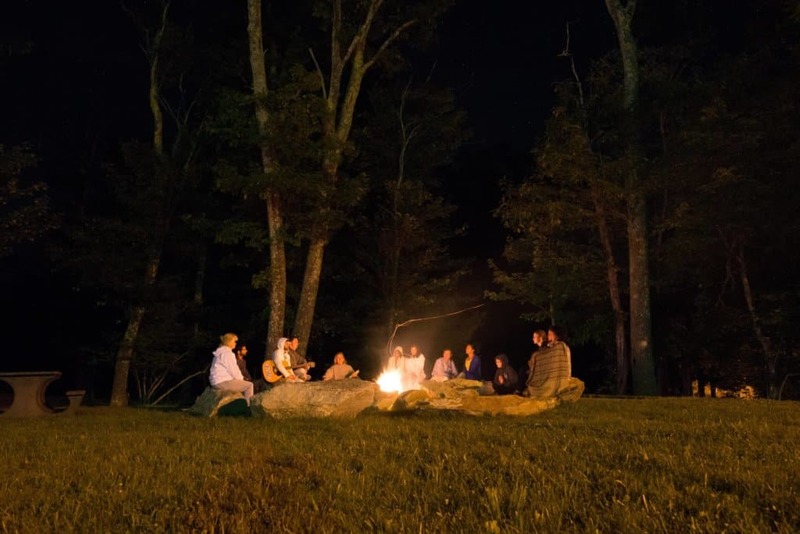 There’s no better way to close the day than a fire circle under the stars! If you’re interested, we love arranging lovely, end-of-day gatherings for those who wish to come and sing or chat by the warmth of the open fire. Allow yourself to settle in for a soul-stirring session of community singing with an emphasis on both ancient chant and modern melodies. Kirtan happens nightly and is a community gathering for all interested guests, staff and volunteers. Strengthen in the fitness room or enjoy some de-stress time as you unwind in one of the steam rooms. Especially relaxing after an Ayurvedic treatment, the steam rooms are located on the 1st and 3rd floor of the spa building. These facilities are available to guests staying in hotel rooms. Everything was a highlight of my stay. Food, views, hiking trails, staff, service, and rooms.